FAQ – Should I Buy or Sell First? You may be thinking, why risk it and purchase a property before selling? Well, the obvious difficulty that comes about as a result of selling first is that, unfortunately, you may be metaphorically shooting yourself in the foot. (Dramatic, again… I know) In other words, selling your home first greatly reduces the amount of time that you might have to find your next dream home – a property that you may end up living in for the next 10 or 20 years. However, if the thought of moving into an apartment/temporary housing and moving all of your belongings twice doesn’t bother you, then perhaps this is the strategy that you should employ. 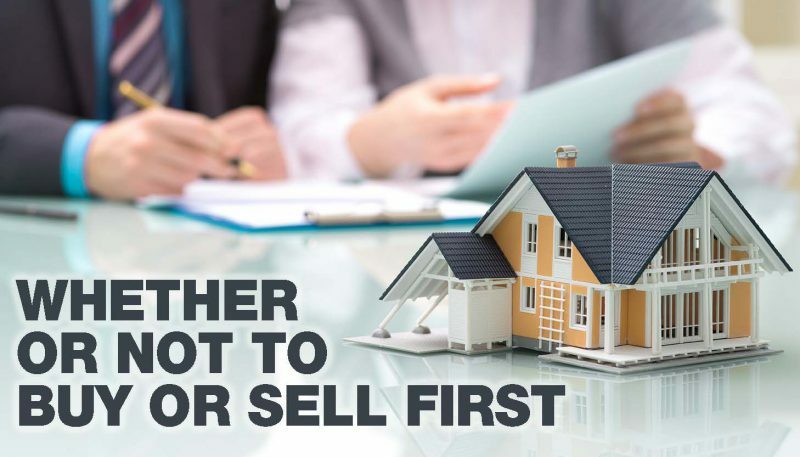 The benefit of selling first is that it helps you to understand exactly how much cash you will have to purchase your next residence. And, if you don’t qualify for a bridge loan, it allows you the opportunity to write a non-contingent offer when you find the property that you’re hoping to call your next home.